"Ankle Deep" conjures up a pretty lively harmonic resemblance to Steve Goodman's "You Never Even Called Me By My Name", which, in the context of the Red Hot Chili Peppers' biting of "Dani Califonia", turns this sentence quickly into a fun game of Six Degrees of Tom Petty. Leave it to a reclusive Southern master to provide one of the year's easiest titles to decipher. The highway companion in question here -- for Tom Petty and, it's safe to guess, most of the listeners he's amassed over a spot-on three-decade career -- is clearly music (it is also probably Red Bull, beef jerky and Egg McMuffins, but that makes for a much clunkier and less romanticized title). It's one of those satisfyingly straightforward rock truths, levied and laid bare by a master of the satisfyingly straightforward rock song, and collected here in a satisfyingly straightforward collection. Lest that be seen as any kind of slam, I'll clarify: No, the 12 songs collected on Petty's first solo-billed record since 1994's sterling Wildflowers represent not the slightest twitch in game plan from Petty, who pens tracks like "Square One" and "Night Driver" with all the apparent effort of someone pouring a bowl of morning Frosted Flakes -- and that's what gives Highway Companion its reserved strength. 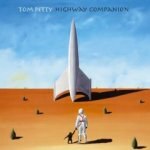 If anything, Highway Companion sounds like a thoughtful, sometimes melancholy, ode to the fading romanticized ideal of rock 'n' roll, the music-as-redemption theory one ostensibly posits more when one starts getting up in years (and starts tossing around his own retirement, as Petty has sort of done). Released on the Rick Rubin's American label and recorded with erstwhile Heartbreaker guitarist Mike Campbell and longtime collaborator Jeff Lynne, Highway Companion gets its job done in the appealingly workmanlike fashion you'd expect from such a lineup. But there's some things going on beneath, too. When Petty revs up the fan-friggin'-tastic first single "Saving Grace", he lets the rockabilly guitar, the itchy, twitchy din-da-din-da-din percolate for a while, giving that hint of impending danger (or speed, or power, or life, whatever you want to call it) some added spice. Petty lets it dangle, conjuring up in 30 seconds the gods from night-rides past: Buddy Holly, Jerry Lee Lewis, Bruce Springsteen. And in that way, its doubly effective. "Saving Grace" certainly rocks, it's doubly effective because it conjures up, with startling ease and efficiency, the commonly accepted notions of rocking -- the splashing drums, the sinister but explosive guitars, the lyrics about flying through sleeping cities, "past statues that atone for my sins" en route to a sweetly, smirking refrain: "And it's hard to say who you are these days / But you run on anyway / don't you, baby?" At 55, Petty is beginning to sound a little rough around those edges, but in the case of a guy whose voice was never a thing of particularly exceptional beauty to begin with, that raggedness ends up adding extra warmth to an already burnished voice; there's something almost soothing about it. That adds bonus depth to gorgeous ballads like "Square One", (which first materialized last year on Cameron Crowe's Elizabethtown soundtrack) during which it's easy to imagine Petty having coffee at the breakfast nook seemingly on the morning he's cleared his mind of some past transgressions. This is sounding more like old-man rock, so let's get to the bangers. If, like me, you listened to Highway Companion imagining it as a road-record album, you regarded the beginnings of "Down South" as you might John Hiatt's "Drive South", which is to say, you'd think it could be about escaping with yer girl to the sun. But Petty's got other things in mind: "Headed back down south / Gonna see my daddy's mistress, gonna buy back her forgiveness / Pay off every witness," he snarls, sweetly. There's some escapist elements in his Petty's Dixie fantasy, but it isn't like he's Jimmy Buffett: "Spanish moss down south / Find the heroes of my childhood / Who can now do me no good." For the roadshow purposes, he roars into "Big Weekend", and "Jack", which ladles up some rockabilly gumbo. Petty throws in some off-kilter rhymes with ease as well; "Ankle Deep" rhymes "jumper" with "Midwest Bible thumper" en route to finding its protagonist "ankle deep in love", a not-entirely appealing take on it (it also conjures up a pretty lively harmonic resemblance to Steve Goodman's "You Never Even Called Me By My Name", which, in the context of the Red Hot Chili Peppers' biting of "Dani Califonia", turns this sentence quickly into a fun game of Six Degrees of Tom Petty). There's no need to overthink this one, it's as tried and true and archetypal a rock album as you're likely to get, which lends it nearly all of its easy, loping charm. In putting together a collection of songs about cars, escape, love (troubled and untroubled) and constant motion, Petty's not out to reinvent the wheel; he never has been. He's just happy to be behind it, and happy that you are, too.